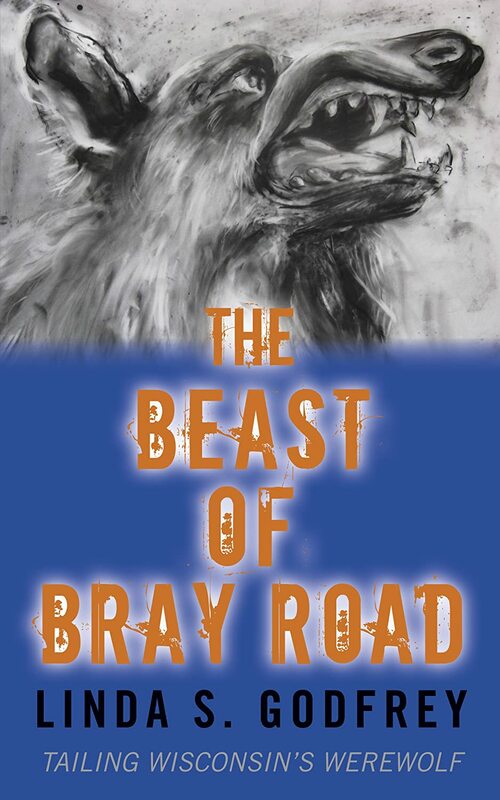 Hey—I’m a big fan of werewolves and a big fan of metal, and GrimWolf always delivers. Nonetheless, as the band has a new EP coming out soon, I got in touch with lead vocalist/guitarist Brent Wisdom to ask him a few questions about how the band got started, about their upcoming release, and about cool werewolves in general. The soundtrack for Canadian horror-comedy WolfCop is released on digital platforms today! It is written by Saskatoon doom metal band Shooting Guns, and is available on iTunes and the Shooting Guns’ BandCamp website today for $8 CAD. One Way Static Records will be handling the soundtrack’s physical release, for those interested. It will be released in a limited vinyl run and a very limited cassette tape run. The LP will be limited to 1000 copies, and will be pressed on red and blue marbled vinyl. 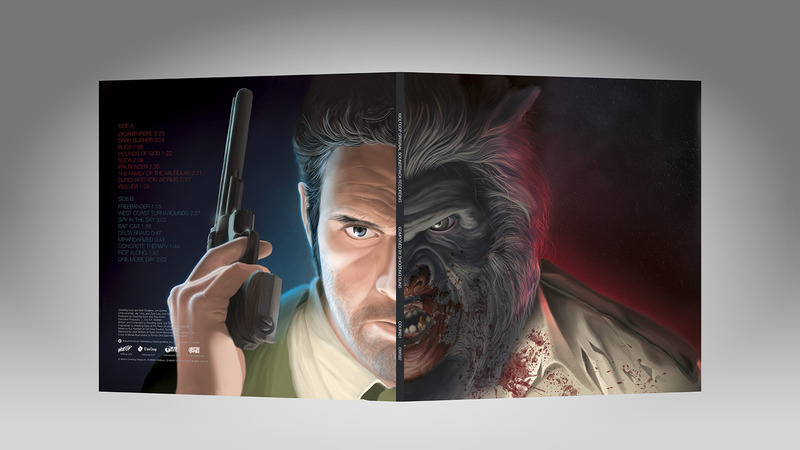 It will be packaged in a “deluxe gatefold old school tip-on jacket” with original artwork by Randy Ortiz. (Pictured below.) It will be made available for purchase at MondoCon in Austin, Texas this weekend, with Ortiz present at the booth for a signing session. Remaining copies will be sold at Beyond Fest in Los Angeles from September 25 to October 5. If there are any leftovers following these events, they will be sold on the One Way Static Records website in mid-October. The cassette tape is limited to 350 copies, and will be available exclusively from participating stores on September 27, International Cassette Store Day. The tapes are housed in a retro-style VHS Clamshell box (pictured below) with alternate artwork. Any leftovers following ICSD will also be sold on the One Way Static Records website in mid-October. Well, autumn is just around the corner, which means October is just around the corner, and you know what that means it’s time for? First up is Newcastle’s famous and very popular Werewolf Blood-Red Ale, which was the top-selling limited edition import last year. 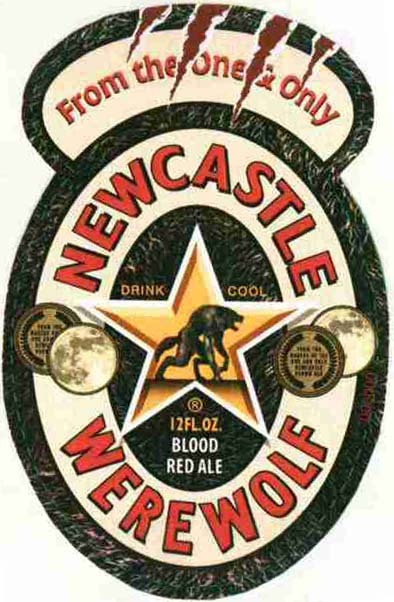 Newcastle Werewolf features a seasonally advantageous palate – sweet berry fruit with roasted caramel notes up front followed by a bite from Fuggle and Golding hops at the finish. It is brewed with rye malts, making it naturally blood-red in color, and is 4.5 percent alcohol by volume with 23.4 International Bittering Units. That means nothing to me because I don’t drink (because I’ve never found werewolf alcohol in my area, probably) but for those of you who do—there you go. They also have one hell of a cool logo for it. The second returning werewolf alcohol is the Violin Monster Autumn Ale, produced by his local Arbor Brewing Company. Violin Monster Autumn Ale is going to be a lot harder to get your hands on, unless you live in Michigan. Violin Monster, after all, has settled there the longest, so it only makes sense. A geographical approach to the werewolf legends results in the identification of a major werewolf area stretching from mid-Germany into the Netherlands and Belgium. With this in mind, we have created a strong, dark, spiced using ingredients from those regions. Brewed with Midnight Wheat, warming spices, and a hint of brown sugar, the Violin Monster is black as night and packs a punch at 9.5%. Unleash your inner beast with Violin Monster Dark Ale, but beware…. it finishes with a bite! Also how cool is the bottle design? The widely-renowned werewolf RPG Werewolf: The Apocalypse turns 22 today, celebrating the anniversary of its first edition, released in 1992. Whether you’ve played it—or even heard of it—or not, the RPG has had one hell of an impact on the internet’s werewolf lore as we know it. The idea of werewolves as guardians of the planet against the evils of humanity? W:TA. Said evils are attributed to the mysterious and malevolent Wyrm in-game. 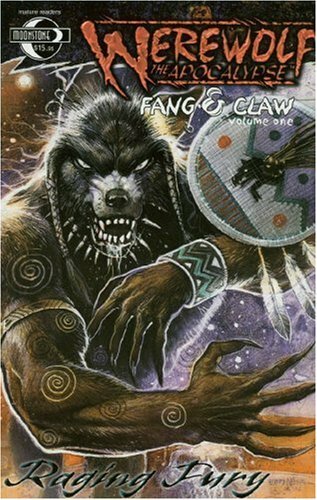 Werewolves with various tribes and rites? Yep. While the werewolf fandom is frequently at odds in regards to the aspects of werewolf lore that White Wolf brought to the table, the game’s influence is undeniable. I myself have met numerous werewolf-enthusiast friends who recalled either playing or studying the World of Darkness that takes place in Werewolf. Beyond that, the game has been one of White Wolf’s most popular games ever published, even leading to a massively successful Kickstarter a few years ago to publish a 20th anniversary edition release, where they received over 300% more than their goal. The 20th anniversary release can be purchased from the RPG download store DriveThru RPG in a variety of formats, including PDF, Hardcover B&W, Hardcover Color Premium, and Hardcover Color Standard here. 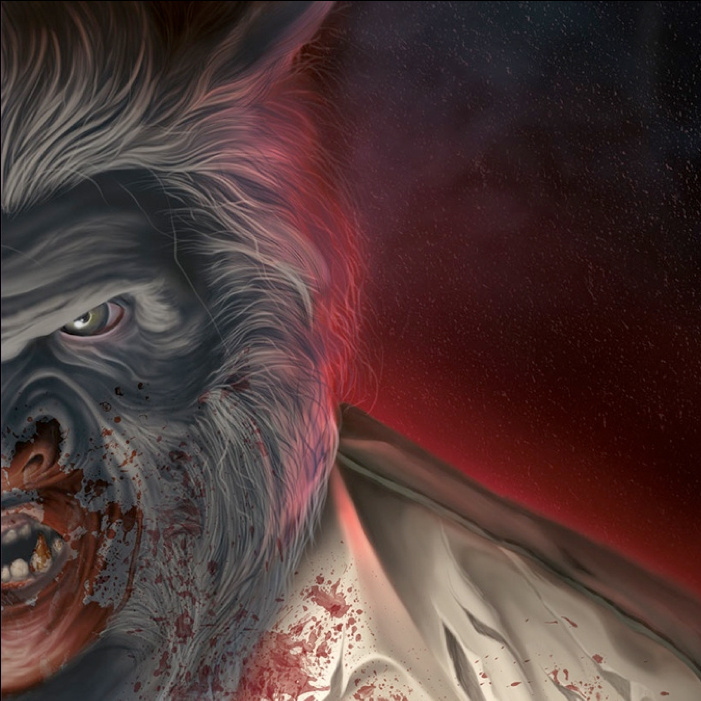 You can also purchase the official 20th anniversary special release of the Werewolf: The Apocalypse cookbook from DriveThru RPG. Yes, really. Or, if you’d just like to get a basic overview/rundown of the game itself, White Wolf has made available a free 34-page introductory kit PDF. So now you have no excuse to read up on the most widely-recognized werewolf table-top ever. It is available for pre-order now from Mooster Records, Anti-Authority Records, and Swamp Cabbage Records, and is $7 at each location. However, if you preorder the album from Mooster Records, you will receive the 7″, a Koozie, and a limited-edition CD of Wolf-Face demos. If you preorder the album from Swamp Cabbage Records, you will receive a poster and a Koozie (until they ship, when the price will drop to $5 and you will only receive the 7″). The album will be available on August 8. 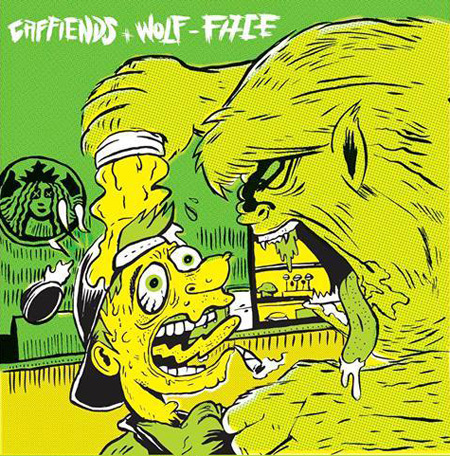 Follow Wolf-Face and Caffiends on Facebook or on their respective Twitters. Darley Street Disco Productions is currently taking applications for their new comedy webisode, Gentle Werewolf. 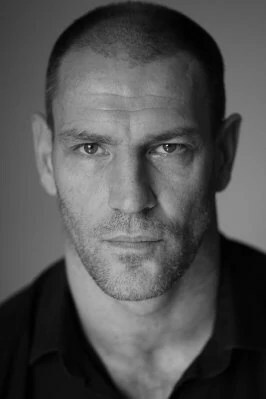 Gentle Werewolf follows the story of Tom, a 30-year-old man who appears to be stuck in a rut. He can’t hold a job, has no idea what he’s good at, is unsuccessful in love, and now (to add insult to injury) he is quite possibly a werewolf, too. The production company is seeking actors and actresses to fill nine different roles, which range anywhere from lead roles to supporting roles to day players. The roles have specific age requirements but are open to any ethnicity. Darley Street Disco is looking particularly for submissions from Los Angeles, CA. All roles are paid for at a rate of $100/day plus profit share, with meals provided. The casting call ends July 18, 2014, and the rehearsals and shoots will take place in late Fall 2014 in Los Angeles. For more information and to apply/audition for a role, check out their Backstage casting call. The artwork is credited to Grace Liu, an illustrator from California. GrimWolf released the title and track list of this EP only days earlier, and that information can be found here. Purchases of this shirt are limited, and the design will soon go out of print once more. 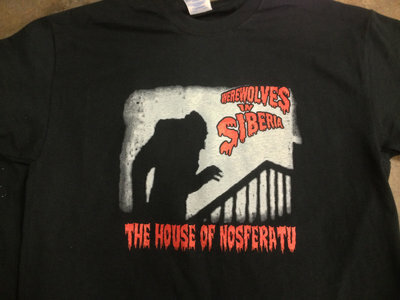 All purchases of this shirt will also receive a download of the Werewolves in Siberia song “The House of Nosferatu,” a track which was previously only available through the purchase of the Graveyard Calling compilation …and Out Come the Bats. This compilation’s proceeds go to the Bat World Sanctuary. Purchases of the shirt are available until 7/14/14, and can be purchased here. AWOO! Happy Canada day to all my favorite Canadian werewolves including but not limited to Langren the Werewolf and the always-relevant folks over at Werewolf News! Celebrate Canadian werewolves today with a Ginger Snaps marathon! Or go catch WolfCop somewhere! Or throw some money at the band “A Canadian Werewolf in“! Or if you’re broke, here’s A Canadian Werewolf in Hollywood, a very obviously titled parody short film!